As some of you might know that I have had a busy few weeks and my social media hasn't been as busy as we were all preparing for a family Mendhi and a wedding. Preparing took so much time and it is super surprised how much you need and how much needs to be planed out. It was a headache getting everything all sorted out but thank goodness everything was sorted out in time for us all and we had an amazing time at both events. I thought I would tell you all about both of the celebrations seeing as they were both amazing and so much fun. 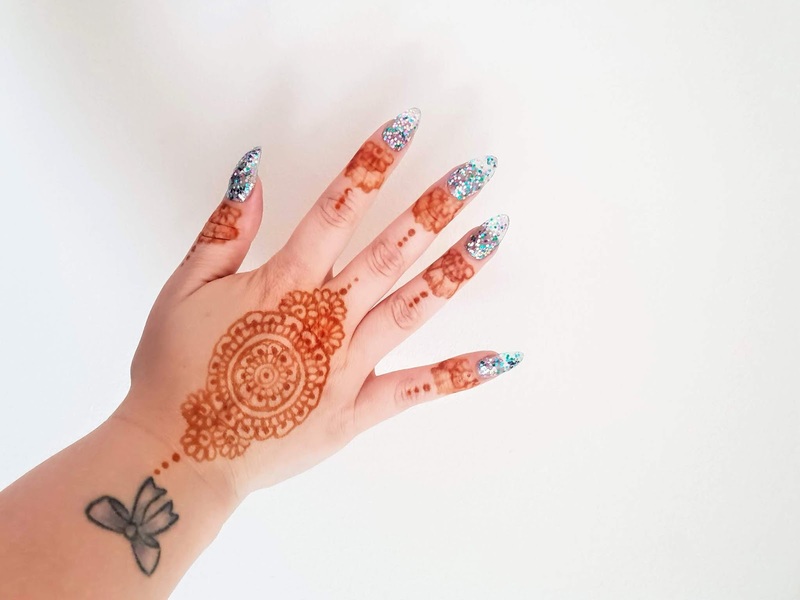 Seeing as the Mehndi happened before the wedding I think its best to post this one up first but fear not the wedding blog post will be up in the upcoming weeks. Anyways a little background on a Mehndi for some of you don't know what a mehndi is. A mehndi celebration and it is basically a pre-wedding celebration for many religions including Hindus and Muslims. 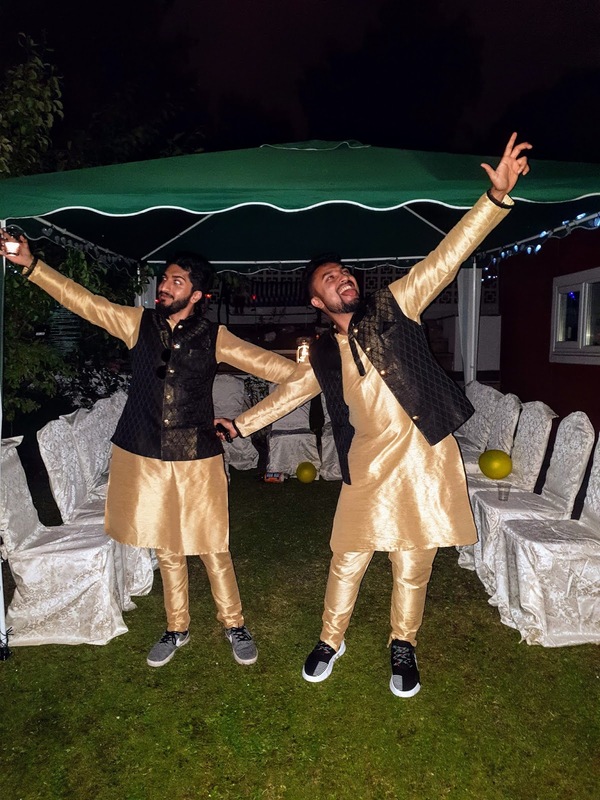 During a Mehndi, you basically celebrate the upcoming marriage which is usually a few days after the Mehnd. Music is played, food is shared and basically, you have a fabulous time with your family and friends. Henna is applied to the bride and also to the women of the family. Celebrations usually happen at the bride's house and can last late into the night. 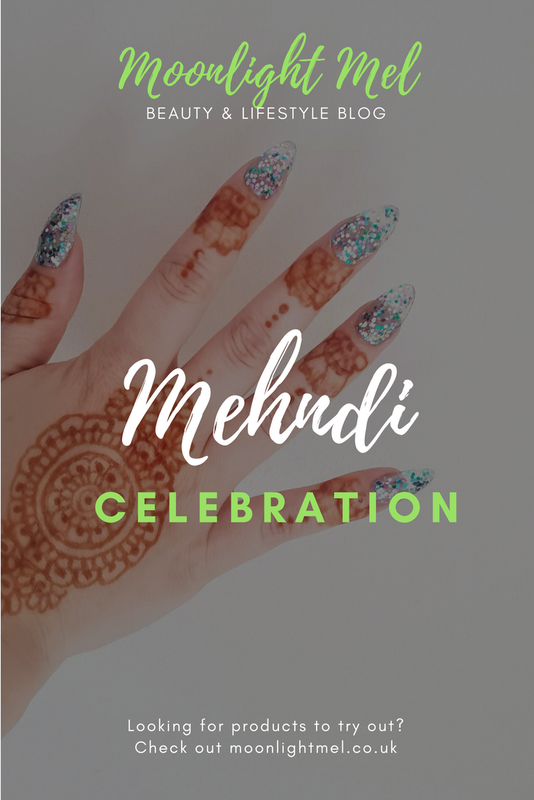 I know this isn't always how everyone celebrates Mehndis but its how my family celebrate it and I am just saying how they do it as a rough idea for people who don't know about it. Before we went to the bride's mothers home to be Mehndi was held we got dressed in nice formal clothes and also in traditional clothes too. I wore a rose embroidered top with my jeans with my high wedges ( maybe not the best choice as my feet were sore by end of the night lol) The kids and my partner wore traditional Asian clothes that they wore from the wedding celebrations last year. Upon arriving at the house I was shocked and in oar of how beautifully the bride's mother had designed her house for the party. In the living room, it had fabric draped from the ceiling and also designed beautifully on the walls too. 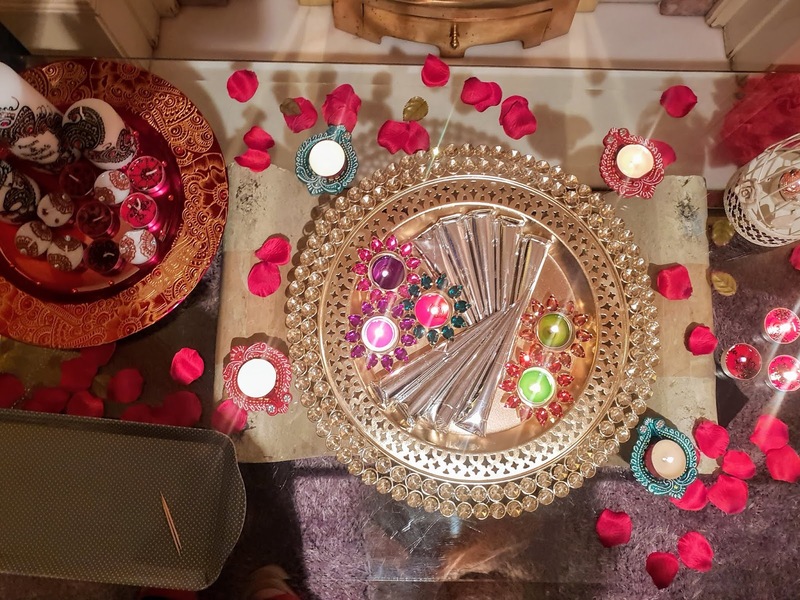 On the coffee table were tubes of henna and candles that were placed in desi designed candle holders. Outside was a canopy that had lots of chairs so all the guests could eat food and talk openly together in the summers breeze. It was a lovely summers evening so staying outside was just perfect to get the cool summers breeze and also to talk to family and friends. Upon arrival, I had to congratulate the bride to be and wish her the best for her marriage while talking about what people were going to wear and also about how exciting it was going to be with her and her friends. Not long after I talked to the groom to be who was very excited and slightly nervous about the night ahead as he wore traditional kurta which he has never worn before but he did look very smart in. We met up with the family had hugs and talked during the night and it was a nice night as the temperature was perfect and the atmosphere was mellow. I am still learning about different traditions myself so it was nice to learn more from the family and see more of their culture. The kids made friends with some of the guest's kids and they enjoyed playing with balloons and playing hide and seek with them too. Choosing food was easy and everyone had a bit of everything seeing as the food was light and perfect party food. I really enjoyed having the haleem as its the first time I have eaten and I would definitely eat it again in the future. The lady who did the henna did an amazing job and she took a lot of time and effort with everyone who wanted their henna done. She gave all the guests different styles of henna and some of the guests got both hands done including the bride. I myself only got one hand done this time but they is a lot of detail in it as you can see. My daughters both got their henna done on both hands and on one hand, they got traditional henna design while on the other they had a butterfly which they just love. I thought I might add that when henna is applied it's super important not to touch it for at least 20 minutes but the longer you leave it on the more intense it will be. I washed ours off after one hour and it left the beautiful orange design you see above. Henna can last up to 2 weeks but mine has started to wash off mostly now after 1 week. During the evening the family all took it in turns to feed the bride and groom something sweet and we painted a leaf with henna and wished them luck for the wedding and the future. After that, we all sat in the living together and some of the guests started to play the drums to old Bollywood songs and we all started singing together which made the environment all fun and jolly and we all had a great laugh well into the late evening. We all had a fabulous night and it sure did set up the atmosphere ready for the wedding that was happening a few days after.